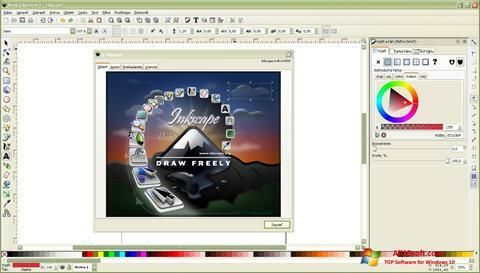 Inkscape for Windows 10 - a utility that creates and edits vector graphics files. It is equipped with numerous tools that process, modify files. There is support for raster extensions. The program uses the original SVG standard. The application has a control panel, which contains the latest tools, options. The software interacts with gradients, text, shapes, metadata. Powerful graphics editor is equipped with numerous useful features. You can free download Inkscape official latest version for Windows 10 in English.